The fantastically beautiful sun drenched holiday island of Mallorca is one of the most sought after and wealthiest areas in the whole of Spain. 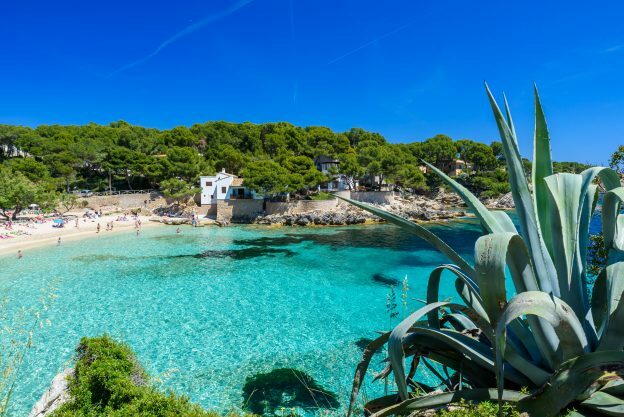 As well as being popular with many A list celebrities, Mallorca has something for everyone and so continues to be a very attractive and popular tourist destination. It is little wonder therefore many people looking to buy a property abroad as an investment or as a second home chose to buy property on the beautiful island of Mallorca. Who can buy property in Mallorca? Anyone can buy property in Mallorca. There are no restrictions and you can buy property in Mallorca whether you are from an EU country or not. Property investment from foreigners is actively encouraged in Mallorca. If you have more than €500,000 to invest in property, non-EU citizens can even obtain EU residency in return. How to find a recommended lawyer in Mallorca? It is strongly recommended that you obtain professional advice from an experienced property lawyer in Mallorca to assist you with buying property in Mallorca. It is important that you instruct a lawyer in Mallorca who is independent (ie not connected with or recommended by the estate agent) to ensure that the advice you receive is objective and to avoid any potential for conflicts of interest. Your lawyer in Mallorca will help you with the purchase contracts, property searches, they will look out for all your interests and ensure your property in Mallorca is registered at the Land Registry. They will also be able to advise you about the taxes associated with a property purchase in Mallorca. The costs of a property lawyer in Mallorca will vary as lawyer’s fees usually depend on the type of property you are purchasing and its value. Lawyers in Mallorca typically charge 1.0% of the property price (the minimum is fee for a lawyer to deal with a property purchase in Mallorca is however typically around €2500). If you would like details of a reputable, recommended lawyer in Mallorca to assist you with property purchase in Mallorca, contact Worldwide Lawyers on 01244 470 339 or at info@worldwidelawyers.co.uk. We can put you in touch with an independent English-speaking lawyer in Mallorca who can assist you. For more information about buying property in Mallorca or any other part of Spain or its islands, download our free legal guide to buying property in Spain.